If you’ve ever had a pet that can’t decide if it wants to be inside or outside, you know how frustrating that can be. Traditional pet doors work fine, but you have to remember to slide the blocking door in when you don’t want your pets to go outside. 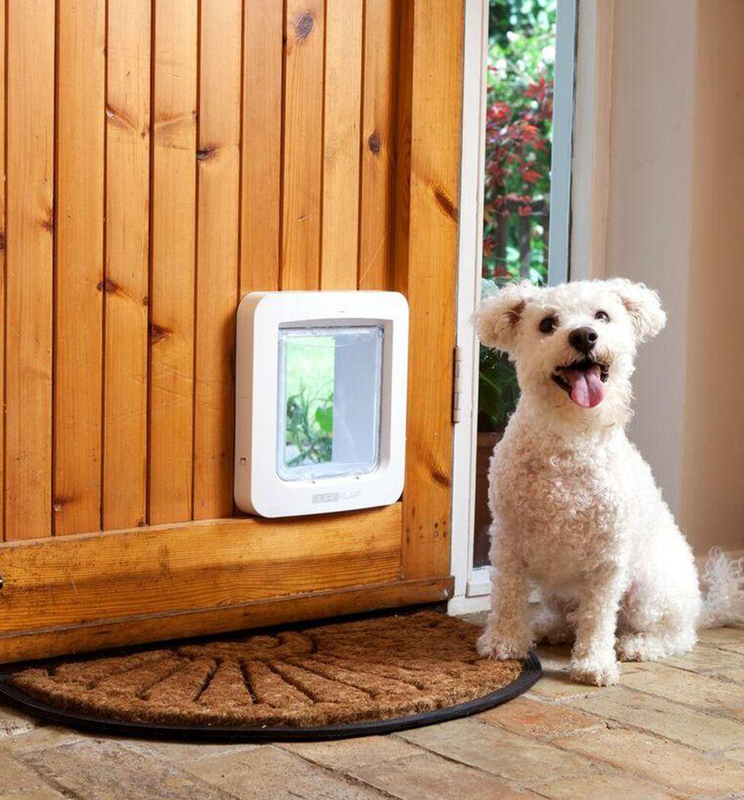 Finally, you can have a customized electronic pet door that lets you decide which of your pets are able to go in and out — when you want! lighting fireworks, or even if you are hosting a party in the backyard. Our electronic pet doors fit standard doors, walls and thick doors. You’ll be able to set the times when pets are able to use the doors on all of our doors. for pets under 15 pounds. 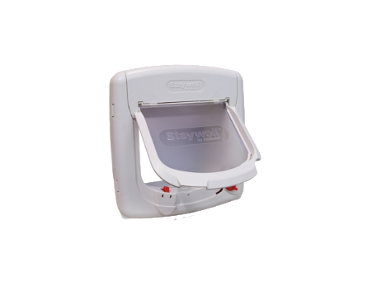 We also have electronic dog doors for pets over 100 pounds and up to 220 pounds. find the door with the best opening for your pets. 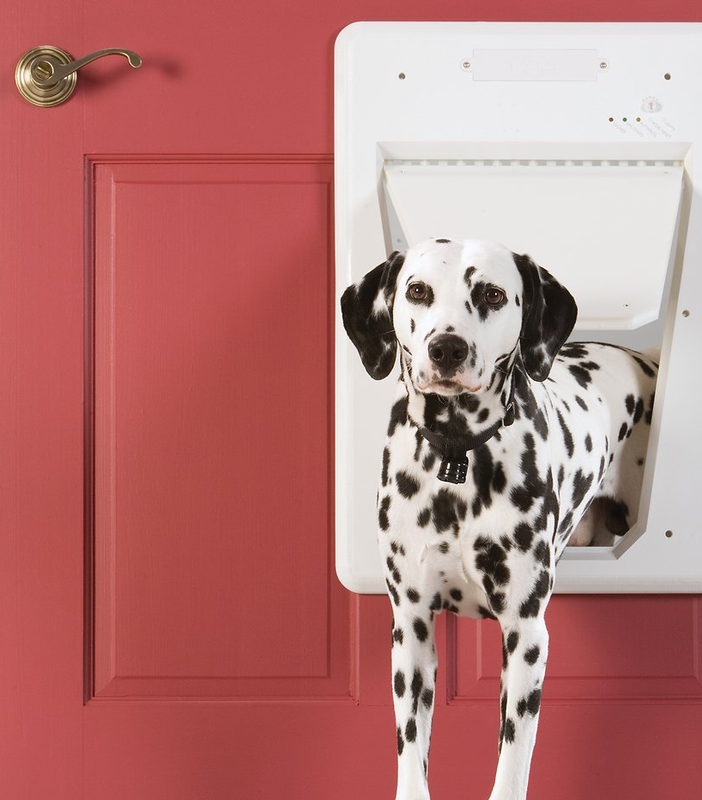 The convenience of an electronic pet door means that your dog or cat is able to let itself out for potty breaks. You won’t have to go to the door constantly if you are home, and if you are not home, you don’t have to worry about cleaning up accidents. 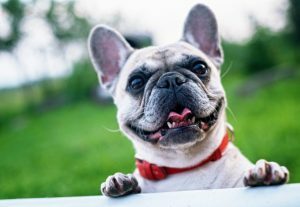 At night, your pet is able to go outside without waking you. 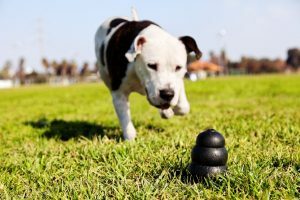 Additionally, when your pet is able to go out when you’re not home, it’s not “holding it” for a long time; so it has less of a chance of getting urinary tract infections and bladder infections. An electronic pet door for your cat means that you are able to put the litter box in an area you make accessible to the cat, but not the dog. The cat is able to access it whenever it wants, but the dog doesn’t get any tootsie roll treats! For even more convenience, all of your pets are able to use the same door. 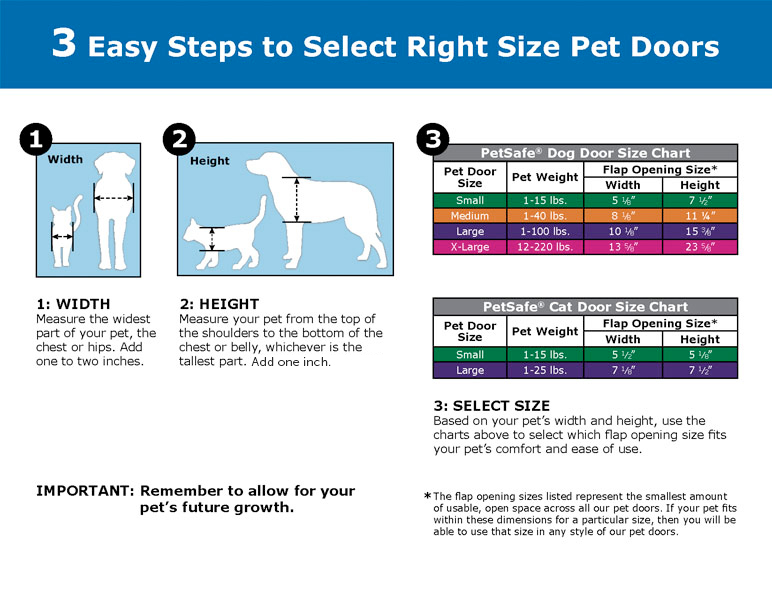 Just measure the largest pet to get the proper size. 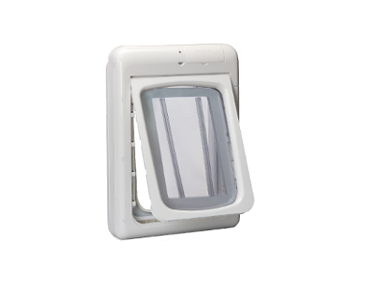 The SmartDoorTM is programmable for up to five pets and the Passport® Pet Door is programmable for up to 20 pets. 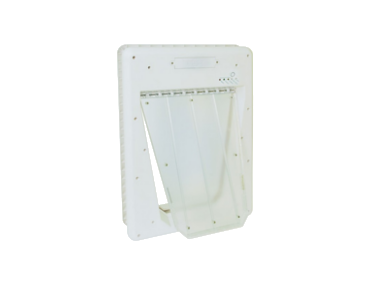 The magnetic cat door is programmable for an unlimited number. 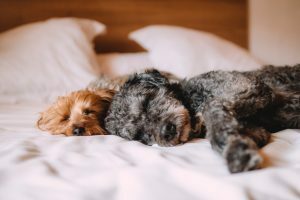 If you need help choosing the appropriate door because of multiple pets, call Freedom Dog Fence today and we will help you choose.